stem, leaves and flowers of plant can be eaten raw. plant is best when collected before fruiting. raw plant has mild/no taste and older plants have an unpalatable texture. 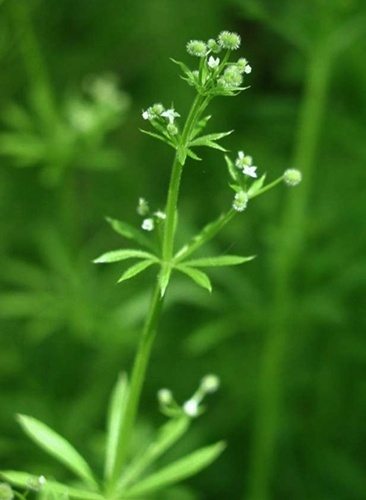 varieties in Ontario are Cleavers (Galium aparine), Northern bedstraw (Galium boreale) and Sweet-scented bedstraw (Galium triflorum). look for bedstraw alongside low-growing vegetation and disturbed soil sites. warning: acts as a mild laxative when eaten in quantity.